World, meet Comet Jack. Now available for Kindle and Nook. (If you have neither of these, both have free apps for your various phones, pads, pods, and computers.) 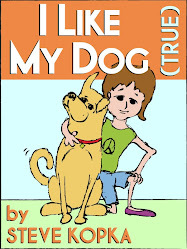 You can download a free sample to your Kindle, Nook, or app at the links! Needless to say, I am very excited. 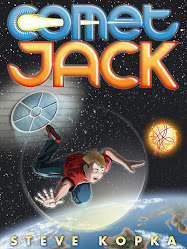 A note on timing: I set a deadline to have this book out by the time my son started fifth grade. Jack, the hero of the story, is starting fifth grade at the beginning. My son starts tomorrow. Let me know what you think! Also, please let others know. You can add a review of the book at the same links: Comet Jack for Kindle, Comet Jack for Nook. I think I have solved my Kindle indentation problem. And, yes, I did just eat a peppermint. 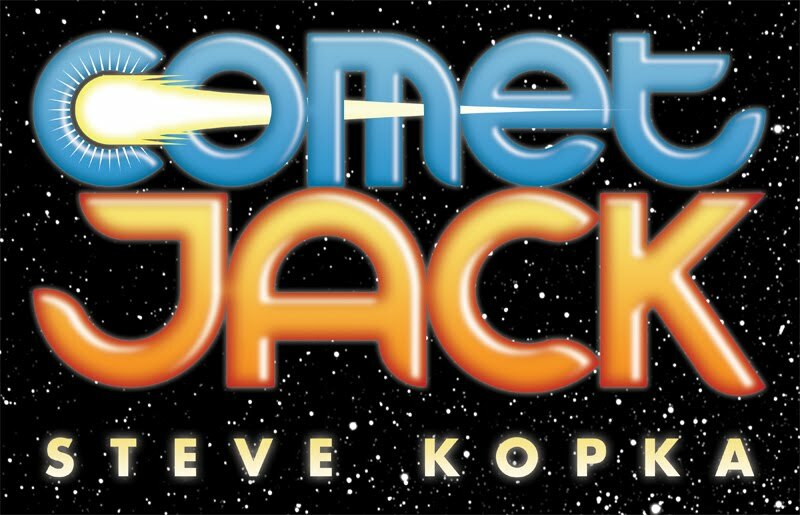 I'm compiling Comet Jack in Scrivener, which is pretty much a fantastic program for writers. BUT I ran across some issues trying to get it right for Kindle. Scrivener will export directly to .mobi, which is the format Kindle prefers, and allows me to skip some steps publishing at Amazon (as opposed to messing around with Word and HTML and who knows what else). Most of the export seemed just fine--nice table of contents with links, for instance--but when I looked at the final product in the Kindle Previewer, all my paragraph indents had been stripped out! All these long hours of trying to get this book as good as I can make it, and suddenly it looked like I didn't even know what a paragraph was. For the record, instead of any fault of the program, this is definitely based more on my refusal to crack a manual until I run into a problem. (And I bet this would've been a non-issue if I had just taken the Scrivener tutorial, which I will be doing REAL SOON). I double-checked my results with my Kindle-owning fellow writer, Marko Kloos, and he confirmed my indents were in place. Woo hoo! My reward? A peppermint. Also a book that is GOOD TO GO. The next post you see will be The Big Announcement.